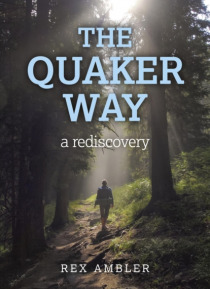 This book is an attempt to explain the Quaker way, as far as that is possible. It is a distinctive way and, though perhaps no better than others, it has its own integrity and effectiveness. Although it is fairly well known, Quakerism is not well understood, so the purpose of this book is to make it intelligible, to explain how it works as a spiritual practice and why it has adopted the particular … practices it has. It is aimed primarily at non-Quakers, who may nonetheless be interested to know what Quakerism is about.